Melbourne has officially been recognised as the number one city in Australia for conferences and congresses. 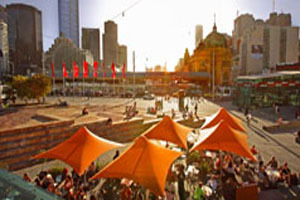 The Country and City Ranking Report 2011, produced by The International Congress and Convention Association (ICCA), saw Melbourne ranked ahead of any other Australian city at number 31 in the world, nine places up on the previous year. Melbourne also ranked number nine in the Asia-Pacific region. ICCA rankings apply to international association meetings with 50 or more delegates that occur regularly, have been held in three different countries, and have been held within the listed city during 2011. Melbourne hosted 62 major international meetings during the qualifying period. Louise Asher, minister for tourism and major events, said the results were an incredible achievement for Melbourne and a true reflection of the city’s premier business events offering. "To be recognised officially by the top congress and convention association in the world is a major coup for the city and one that we are incredibly proud of," she said.